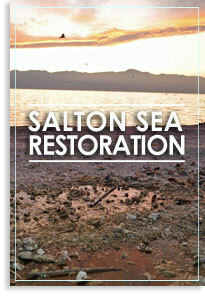 I would like to invite you to attend a Salton Sea Update and Community Education event this upcoming Saturday. This will be an excellent opportunity to hear from regional and statewide stakeholders on efforts to mitigate the Salton Sea, and an update on our legislative endeavors to secure state investments will also be provided. As always, it is a pleasure serving you! For more information or to RSVP please contact my Coachella District Office at (760) 347-2360. Saturday, September 9th, Assemblymember Eduardo Garcia welcomes you to his Coachella District Office for special weekend office hours! This is an excellent opportunity for you to stop by to say hello, share your concerns, ask questions and/or obtain information on the services provided by his District Office. For questions or to schedule an appointment please contact my Coachella Valley District Office at (760)347-2360. On Saturday, July 29, Assemblymember Eduardo Garcia welcomes you to his Imperial County District Office for special weekend office hours! Assemblymember Eduardo Garcia invites you to attend the second Town Hall to discuss health disparities and the possible expansion of the Desert Healthcare District to include the entire Coachella Valley. Representatives from the Desert Healthcare District will be available to answer any questions about the proposed expansion. This is an excellent opportunity for residents to weigh in on the types of healthcare services and programs you would like to see in your community. Assemblymember Eduardo Garcia invites you to attend a Town Hall to discuss health disparities in the Eastern Coachella Valley and the possible expansion of the Desert Healthcare District. For more information contact my District Office at (760)347-2360.